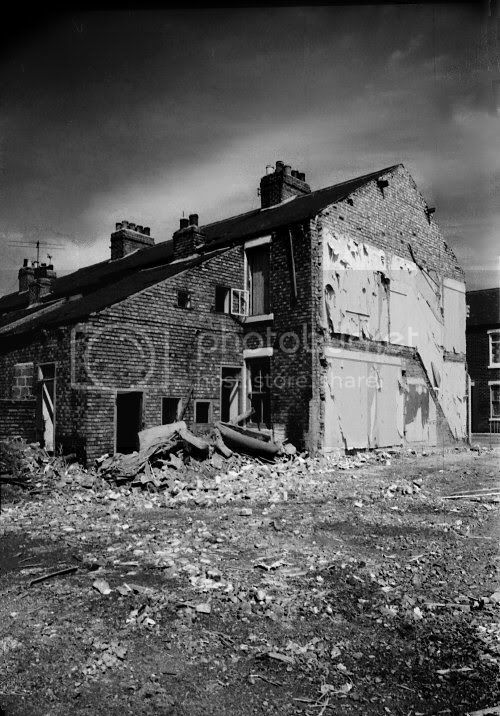 Here are a few pics of the wholesale demolition (and destruction of a community) of this densely populated area in the early 1980s, on a trumpt up reason ..subsidence. The reason the photos look a bit weird is because a wide angle lens, probably 28mm or wider, plus a red filter and fast film have been used. I haven't a clue about where the streets shown were! Do you know what was put up in there place, and was it an improvement? 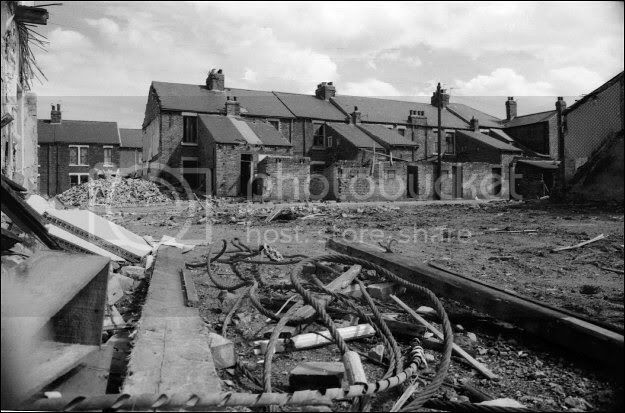 Western Approach, and a Doctors surgery thats all that was put up to replace a lost community. 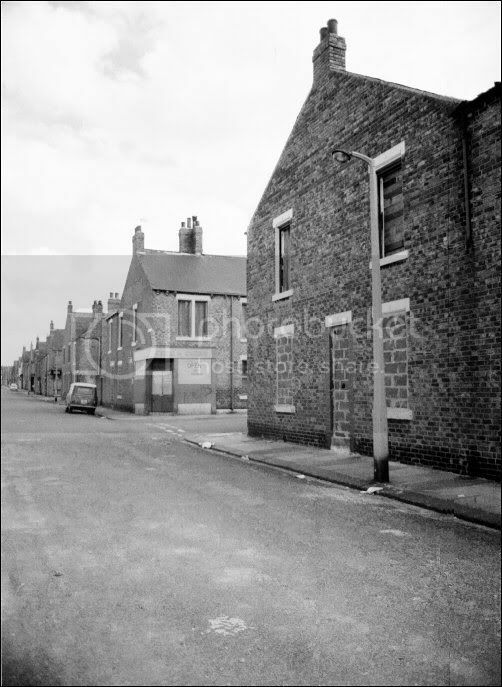 I lived on the corner of Bertram Street and John Williamson Street and I'm sure our block was demolished in late 1972, we were already well established in a new council house while Sunderland were making their run up to the '73 cup final. This is 227 - 233 John Williamson Street shortly after the people moved out. 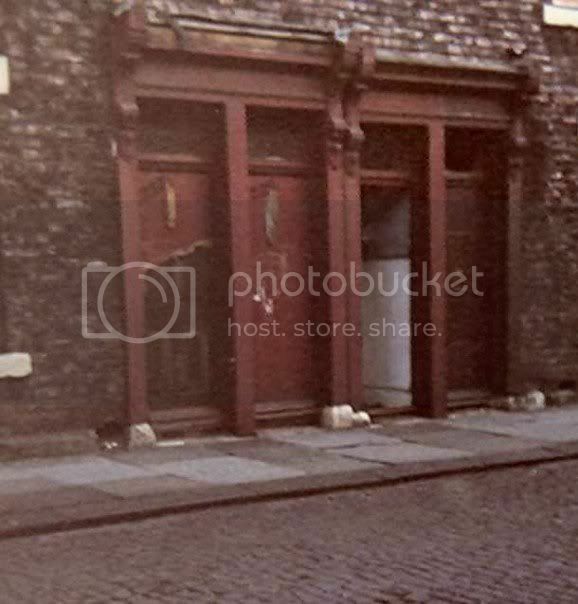 We lived upstairs at 231and moved out in 1970. Pooter i lived at 400 Johnwilly St ...later moved to Malvern St ,just off dean rd. I used to have flares like that. LOONS they were called. From skin tight to 24inches flare I think ! Luv ya pu ssy by the way. He means the ones which come in pairs. 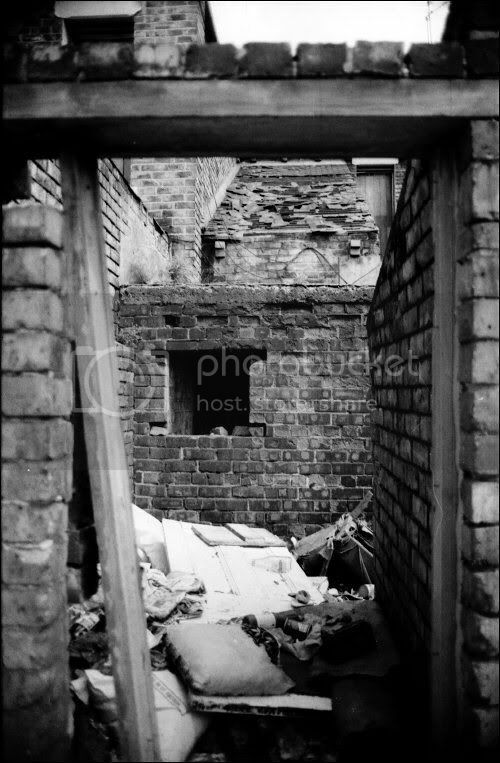 anna wrote: Pooter i lived at 400 Johnwilly St ...later moved to Malvern St ,just off dean rd. Anna, what are the numbers of the last houses in the street, did they go up to about 570? Pooter.. im not the best person to ask , i had to be reminded of my door num ,as i had forgot it ..
but im sure your right ..
Pooter you stole my Avatar! Anna I lived in Malvern street from 1963 to 1996. My kids were called Susan and John you probably knew them. Cat, im not to clever with names , im better with faces ,but more than likley we rubbed shoulders ...its a small world ..